The father of a graduate, Uchenna Opara, allegedly murdered by a traditional ruler in Umueze, Mbaitoli Local Government Area of Imo State, shares his grief with Punch. I am Franklin Opara, the father of Uchenna. I am a 58-year-old retired civil servant. I had five children but death has reduced them to four; three girls and one boy. Uchenna was my first child. What can you say about your late son? Uchenna was born on January 6, 1992. He was supposed to celebrate his 26th birthday in two months’ time. He was shot dead by our traditional ruler, Eze Peter Opara, on November 15. 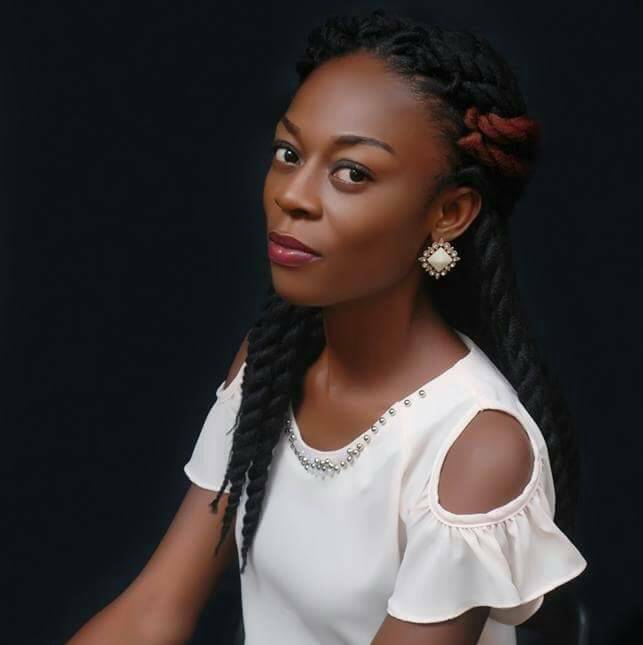 Uche was a 2017 graduate of Library and Information Science at the Imo State University, Owerri. My late son was to begin the National Youth Service Corps in March, 2018. He was a good boy and sociable. He was not violent. He had no issues with anybody, including the monarch, who shot him dead. He was shot by the monarch during a football training with his peers. He played for IMSU. He was a fan of Manchester United. He told me he would like to be a politician. He was called senator by his friends. He was courteous and industrious. He loved God and was a strong member of the youth wing of St. John’s Catholic Church in the village. Did he tell you where he was going on the day he was killed? On the day he was killed, we were together in the house. I later took a stroll to see my uncle in the neighbourhood. Before I left, his friend, Chidi, visited him. He complained that he was hungry and told his sister, Olivia, to prepare something for him to eat. I didn’t stay long where I went. I spent about 30 minutes. While I was returning to take my phone that I was charging, my uncle, Obinna Opara, driving hurriedly, stopped. He requested that I should enter the car. His countenance and the tone of his voice depicted that something was wrong. At first, he didn’t want to tell me what was wrong. I insisted that if he didn’t tell me, I would alight from the car. It was at that point that he broke the devastating news to me. He told me my first son, Uchenna, was shot. He told me that he was shot at Nwafor Umuomumu, outside the playfield. When we got to the scene of the incident, we were told some people had taken him to the hospital. We went after them and we eventually met them at Amanwaozuzu. What did he tell you before he died? When I met him, he was not dead yet. He was weak and helpless. When I called him by his name, he opened his eyes and told me that Eze Peter (the monarch) killed him. He kept shouting that the traditional ruler had killed him. He told me that he was dying and was losing strength. He added that the traditional ruler shot him in his chest. I became weak. I knew my son was going to die in my hands. I summoned courage and took him to Ikeduru General Hospital. The doctor on duty examined him and later confirmed him dead. The hospital management asked me to take his corpse away. I, thereafter, took his corpse back to the scene of the incident. I went to the police station to make an official complaint. The Divisional Police Officer asked me to bring his corpse. The DPO asked two of his men to take my son to a police clinic in Amakohia, Owerri. The medical personnel on duty also confirmed him dead. They asked me to take his remains to the Federal Medical Centre’s morgue in Owerri. I am not in a hurry to bury him. How can I be talking about his burial when justice has not been served? I want justice. The killers of my son must face the wrath of the law for their crime. I can’t be talking about the burial of a 25-year-old boy when his spirit is restless and crying for justice. The traditional ruler who killed my son should be punished appropriately. The stand of every member of my family is that the burial rites should be suspended while we make efforts to ensure that Uchenna did not die in vain. As I speak, one of the palace guards, who killed my son together with the traditional ruler, is still at large. He has not been arrested. We want him arrested first. We demand justice before we can talk about my son’s burial. For now, his burial is not a priority. The priority of the family is to ensure that our son does not die in vain. Are the police cooperating with you to get justice? I visited the police once since my son’s remains were deposited at the mortuary; that was on November 20. I went to the homicide section of the Imo State Police Command in Owerri to make a statement. I met an officer, one Anale, who asked me to state my case. He only asked me who handed over the pump action rifle that was used in killing my son to the police. I told him it was Chimechenam Akuwudike of Imo Community Watch, a state-owned security formation. He asked me to state that in writing. Are you satisfied with the intervention of the police? I must say that I am not pleased with the way the police are treating the killer of my son. I was surprised that while I was at the police headquarters, I saw the monarch seated comfortably. From my observation, the police are giving him VIP treatment and that is bad. He is not being treated like a murder suspect. He was not in the cell. I don’t even know if he sleeps in his house at night and comes to the police station in the morning. On seeing me, the traditional ruler started shedding crocodile tears and told me that it was the devil that caused it. We exchanged pleasantries and I thanked him for killing my son. How is your wife taking the matter? My wife is devastated. Since the incident occurred, she cries profusely. She has developed high blood pressure. Uchenna and her mother were very close. His death is a very big blow and loss to her. Before his death, Uchenna promised to buy a car for his mother after his NYSC programme. He used to joke with his mother that her car was outdated. I don’t know how she is going to recover from the death of our first son. Death has punched us heavily. We have even told our last child who is in school about the incident. She is also devastated by the news. What is the community doing about the matter? Village elders in Duruoshiobi, my village, held a meeting recently. They asked me about my intention. I told them I want justice. I told them that I was not in a hurry to bury my son. I informed them that the palace guard, who aided the killing, had yet to be arrested. I want the police to arrest him. The community people are not happy, especially the youth. The youth are also demanding justice because my son committed no crime. What do you want the relevant authorities to do about the matter? I want justice and it must take its course quickly. The suspects should pay for their crime. I want the matter to be heard in a court. I want the police, especially the Inspector-General of Police, to administer justice. The traditional ruler is getting VIP treatment. The police are not treating him like a murder suspect. I don’t know how to start again. I sleep and wake up in tension. His death has taken me back 25 years. Everything has gone bad. I don’t know how to begin again. The pain of losing a 25-year-old son, after all I spent to educate him, cannot be understood by anybody. Till now, it looks as if I am in a dream. My heart bleeds. I can’t forget about this incident in a lifetime. All my children are crying. My wife cries every day. My household is in sorrow. This is not what a man would wish for his family. It is important I say that I don’t have access to my son’s corpse. All the documents concerning his death, including the one given to me by the mortuary attendants, are with the police. The police said there would be an autopsy. I haven’t seen my son’s corpse since that day. I don’t want the suspect to be enjoying VIP treatment. The police should treat him like a murder suspect, which he is.